Northamptonshire Search and Rescue were not only lucky enough to be nominated for an award , but also to win the award.. Some of our members attended the award ceremony held by Northamptonshire Community Awards 2018 at the Park Hotel in Kettering..
We would like to thank our nominee and the judges for selecting us for this prestigious award. 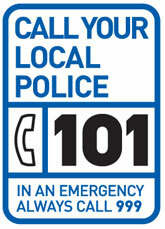 To report a missing person please phone 101 or in an Emergency phone 999.